ASWIFTT PUBLISHING, LLC is proud to release on November 15, 2017, “Fill My Stocking Too!” by Dayja Johnson and Eunice Bridges. This book will be released just in time for Christmas gifts. Dayja co-authored her first book with her grandmother, Eunice Bridges. Both authors did an excellent job educating readers about children who are orphans. This book can also be used as a teaching tool in schools to educate students about unselfish giving and helping others who are less fortunate. Dayja Johnson was born in Sacramento, California on June 1, 2004 where she lives with her mom Jamiela Day. She is in the 8th grade and likes school. She also reads a variety of books. She was inspired by her 6th grade teacher Mrs. Wygocki who teaches social studies, history, reading, and math skills. At the age of six Dayja was featured in her first video titled “In My Life Time” which was produced and filmed by her grandma, Eunice in 2010. She is also a member of ASWIFTT JR. Writer’s Guild. Dayja’s future is so bright that she has to wear sunglasses. She definitely has acting in her future. Join ASWIFTT PUBLISHING, LLC and ASWIFTT Writer’s Guild on October 27, 2016 at the National Black Book Festival in Houston, Texas. The event will take place at Fallbrook Church located at 12512 Walters Rd. Exhibit hours will be on Friday, October 28, 2016 from 10:00 am to 7:00 pm and Saturday, October 29, 2016 from 10:00 am to 6:00 pm. ASWIFTT PUBLISHING, LLC and ASWIFTT Writer’s Guild will be among other authors, publishers and vendors who are scheduled to attend the event. ASWIFTT Writer’s Guild Founders, Eunice Bridges, Glenda Fields and Brenda Johnson Padgitt are inviting all ASWIFTT Authors to meet us in Houston, Texas on October 27, 2016. The mission of ASWIFTT Writer’s Guild is to mentor, support & help develop guild members in their chosen craft. ASWIFTT Writer’s Guild plays a key role in helping guild members to discover & use their God given talents to impact the world. ASWIFTT Writer’s Guild is for the author, artist, playwright, movie producer, director, journalist, etc. who has the talent to put pen or brush to paper to create a unique & valuable piece of work. ASWIFTT Writer’s Guild is always looking for new talents to enhance the Literary, Visual & Performing Arts. Access Sacramento Cable Channel, “Making A Difference Once Voice At A Time” will debut Eunice Bridges’ short films on March 3rd and 7th at 11 pm PST on channels 18 and 14. 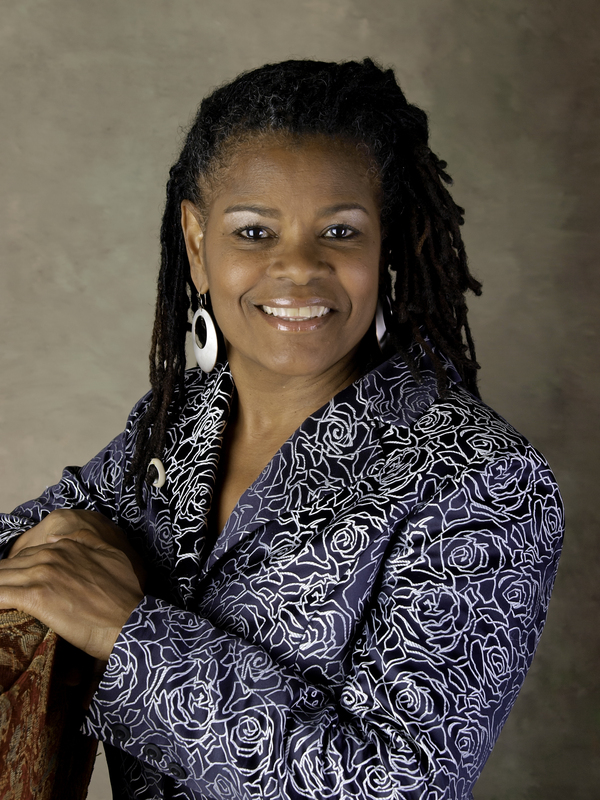 Eunice Bridges is the Founder and Executive Director of EB’s Flip The Script Productions. Eunice established the company based on her real life experiences. Her new beginning enabled her to minister her written works of arts in media format such as DVDs and films. Ms. Bridges is the mother of three children and the grandmother of seven. Eunice is the Co-Founder of ASWIFTT Writer’s Guild. She produced the short films “The Prayer of a Righteous Seed,” “Ain’t Going Out Like That,” and “Change: In My Lifetime,” which will air on Access Sacramento Cable Channel. Join ASWIFTT RADIO Host, Brenda Johnson Padgitt along with her co-hosts Glenda Fields and Eunice Bridges on January 30, 2016 at 5 pm CST, 6 pm EST, and 3 pm PST, as they host The 2016 ASWIFTT Literary, Visual & Performing Arts Awards. This will be ASWIFTT’s 2nd annual awards ceremony for ASWIFTT Writer’s Guild members and ASWIFTT PUBLISHING, LLC authors. The awards recognition platform seeks to recognize and appreciate its members for their works, publications, community involvement and contributions in the Literary, Visual, & Performing Arts. ASWIFTT Award categories range from Education, Global Outreach, Transitional Figure & More. 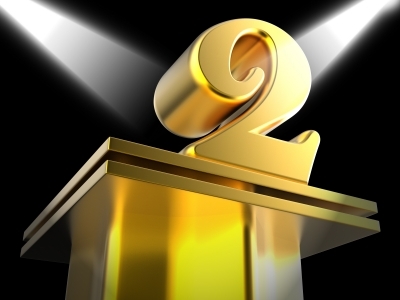 Winners will have the opportunity to call in to give a 2 minute acceptance speech. They will also receive their awards and prizes in the mail. ASWIFTT is for the author, artist, playwright, movie producer, director, journalist, etc. who has the talent to put pen or brush to paper to create a unique & valuable piece of work. ASWIFTT is always looking for new talents to enhance the Literary, Visual & Performing Arts. The Mission of ASWIFTT Writer’s Guild is to mentor, support & help develop guild members in their chosen craft. ASWIFTT Writer’s Guild plays a key role in helping guild members to discover & use their God given talents to impact the world. ASWIFTT Is Looking For Interns! ASWIFTT Writer’s Guild and ASWIFTT PUBLISHING are now interviewing interns for various jobs throughout the ASWIFTT Brand. All high school Jrs, Seniors and college students are encouraged to apply who have an interest in the Literary, Visual & Performing Arts. The Mission of ASWIFTT Writer’s Guild is to mentor, support & help develop guild members in their chosen craft. ASWIFTT Writer’s Guild plays a key role in helping guild members to discover & use their God given talents to impact the world. The goal of ASWIFTT PUBLISHING, LLC is to produce and publish unique and quality works that educate, entertain, enlighten and uplift audiences while contributing to the Literary, Visual and Performing Arts. 3 Administrative Assistants who will be assigned to an ASWIFTT Writer’s Guild Founder. Come out to meet, greet, and get your book signed by your favorite ASWIFTT Author. ASWIFTT Writer’s Guild and ASWIFTT PUBLISHING, LLC will have a book signing at the Vista Ridge Mall, located at 2401 S. Stemmons Fwy, Lewisville, Texas 75067 on June 13, 2015 from 1 pm to 5 pm at “The Runway Shoes” Store. ASWIFTT Writer’s Guild and ASWIFTT PUBLISHING, LLC invite you to meet our Authors, Artist, Playwrights, Movie Producers, etc. and purchase a book for your Father’s Day gift. You will also meet Brenda Johnson Padgitt, Glenda Fields, and Eunice Bridges who are the ASWIFTT Writer’s Guild Founders and ASWIFTT Members Kamille Padgitt, Chinedu Konwe, Kenneth Simmons, Bishop L. L. Cato, Wendy Oliveras, Debra Robinson, Rachel Butler, Bridgette McCullough, David Lee, Masika Ray, Etiene A. Gibbs & More. ASWIFTT Writer’s Guild is for the author, artist, playwright, movie producer, director, journalist, etc. who has the talent to put pen or brush to paper to create a unique & valuable piece of work. ASWIFTT Writer’s Guild is always looking for new talents to enhance the Literary, Visual & Performing Arts. ASWIFTT PUBLISHING, LLC will also be present for anyone who is interested and ready to publish their book. ASWIFTT PUBLISHING, LLC has key services for beginning and veteran authors. The goal of ASWIFTT PUBLISHING, LLC is to produce and publish unique and quality works that educate, entertain, enlighten and uplift audiences while contributing to the Literary, Visual and Performing Arts. For more information on this upcoming ASWIFTT book signing contact Brenda Johnson Padgitt at: info@aswifttwritersguild.com or call direct at 1-866-302-0508. You can also contact Venus Matthews at: therunwayshoes@gmail.com or call 972-315-6535. Join ASWIFTT Author Wendy Oliveras on ASWIFTT PUBLISHING Literary Segment on “In The Author’s Corner With Etienne” on Saturday, May 16, 2015 at 4 pm EST, 3 pm CST as she talks about her business SHESS Global Alliance, LLC and her most recent book “Let’s Play SHESS, Succeed In Your Game Of Life and Business By Playing Chess: From Pawn To Queen.” Wendy Oliveras is a Latina entrepreneur, Global IP Search & Business Consultant, HR/Talent Acquisition Specialist, author, columnist, motivational speaker, trainer and career mentor. She founded Oliveras & Company, Inc., a prominent legal search firm specializing in the recruitment of intellectual property attorneys, partners, HR professionals and support staff in 2001. 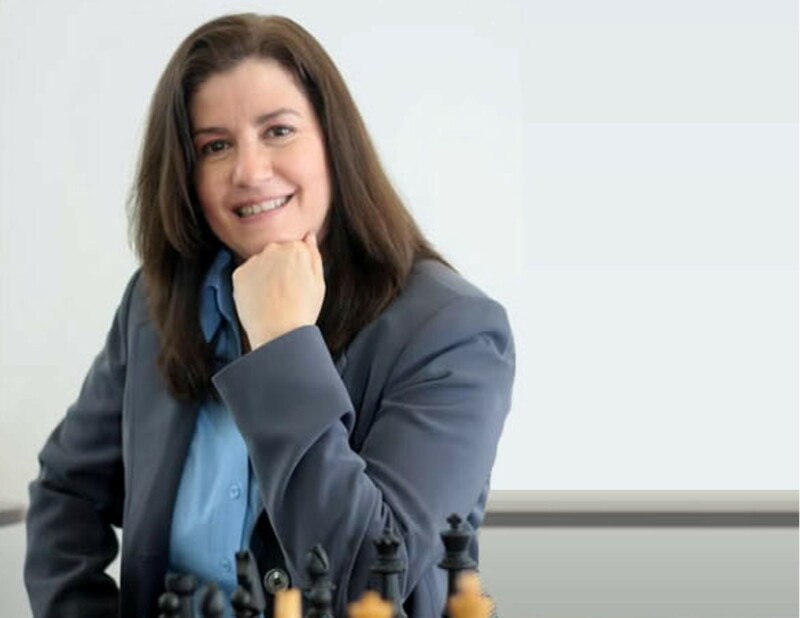 Wendy has created a new way in which to inspire, teach, mentor, and motivate the youth and adults to become better strategic thinkers and problem solvers through chess. She is Creative Founder & CEO of SHESS Global Alliance, LLC (A Certified MWBE and federal WOSB). The SHESS revolution has begun! 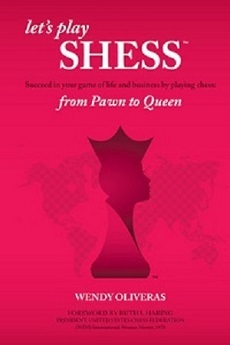 The unique and proprietary “SHESS” ideology is designed to encourage women of all ages and backgrounds to have fun and learn to play chess while successfully transferring the chess-playing skills into their real life activities and business. Oliveras is an Honorary Recipient of the Jersey City’s 15th Annual 2013 “Women of Action” Award and was President of the New Jersey Association of Women Business Owners (NJAWBO) Hudson County Chapter from April 2010 to April 2012. Don’t forget to tune in online at: blogtalkradio.com/intheauthorscornerwithetienne on May 16, 2015 at 3 pm CST and 4 pm EST.